Welcome to Aston Electronics Ltd, the home of the 'Guitar Amp Builder'. For over 35 years, Geoff Pugh has been providing the musicians' community with vital repair services. We repair, modify and produce high quality valve amplifiers. Our services extend beyond that of just valve amplifiers and therefore we are highly skilled in repairing and modifying other products such as effects pedals, solid state amplifiers, hi-fi amplifiers, etc. Aston Electronics is the home of Volt Amplifiers. 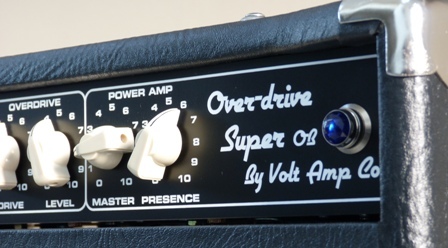 Volt Amplifiers are a range of high quality hand made amps built on demand. Specific features and requirements can provide you with the ultimate amp of your choice. Our telephone number has now been updated to Tel 01785 812071 as of today. Geoff Pugh. We have moved workshop location, not to far, we are no located on the A34 Stafford Road Aston Stone. Please see the contacts page for our temporary telephone number. Geoff Pugh. We are moving workshop on August 10th and will be closed for two weeks re opening on the 24th August.